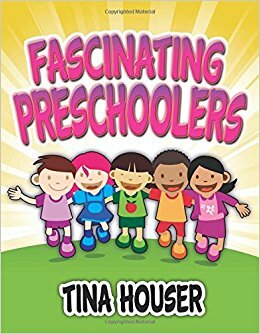 Warner Press and author Tina Houser continue to grow their relationship with the release of Tina’s eighteenth book, Fascinating Preschoolers. Houser’s latest connects Sunday school teachers to a group of kids that are often overlooked as “too young” to connect to Jesus. She teaches us how to embrace their “fascination” and show them the wonder of the world God created. After thirty-three incredible years in children’s ministry in the local church, Tina thrives on being able to train those who share her passion for reaching kids for the kingdom. She has authored seventeen other books, one of which is used as a textbook in select universities. Tina loves spending time with her three grandkids, who give her tons of ideas to use in children’s ministry and refer to her as “silly Grandma.” You can find out more at www.tinahouser.net. Interesting to those in charge of teaching Sunday school to preschoolers (and parents), Fascinating Preschoolers builds on Houser’s already extensive background in teaching children in new, thought-provoking ways. Houser supplies easy-to-understand teaching methods that help you keep kids eager to learn about Jesus. Fascinating Preschoolers includes a variety of ways to fascinate preschoolers and connect them to the Word. Fun science projects, musical instruments, games, and prayer ideas allow you to use the tools you have to connect with preschoolers in a totally unique way. Tina’s years of experience become yours as you page through this new book. At Warner Press, our goal is to equip the Church for ministry. We strive to help churches and Christian organizations communicate better within their walls, encourage spiritual growth and biblical literacy, and share the hope of Christ and the good news of the gospel with a broken world. Warner Press publishes and distributes Christian products worldwide, including ministry resources, church supplies, kids’ books, and greeting cards. We also own and produce artwork by the artist Warner Sallman, which includes some of the most recognizable images of Christ known throughout the world. Warner Press is in Anderson, Indiana and is a not-for-profit organization. For more information, contact Warner Press at 765-644-7721 or visit us online at www.warnerpress.com. This entry was posted in All Church of God and tagged book, children's ministry, church resources, curriculum, Fascinating Preschoolers, kids ministry ideas, preschool, small groups, Sunday school, teachers, teaching, Tina Houser, Warner Press. Bookmark the permalink.